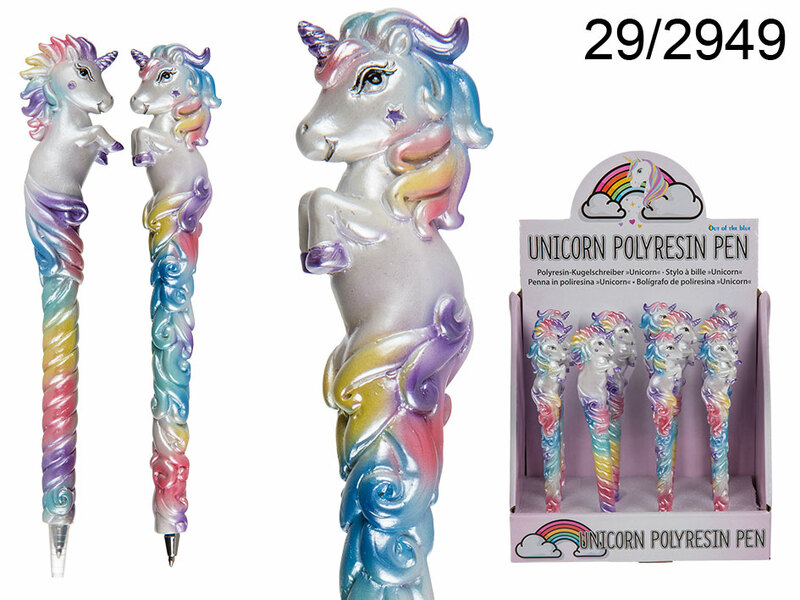 Amazing polyresin pen in the shape of a mermerizing unicorn. Colour of the ink: black. Awesome pen for every lover of eye-catching pens. Great stationery item for both home and office. Two models available - assorted. When buying 12 pieces display stand is free of charge. The given price is for 1 pen. Dimentions: 16 x 3.5 x 3 cm. When buying 12 pieces display stand is free of charge.